10203 ft (3110 m) . 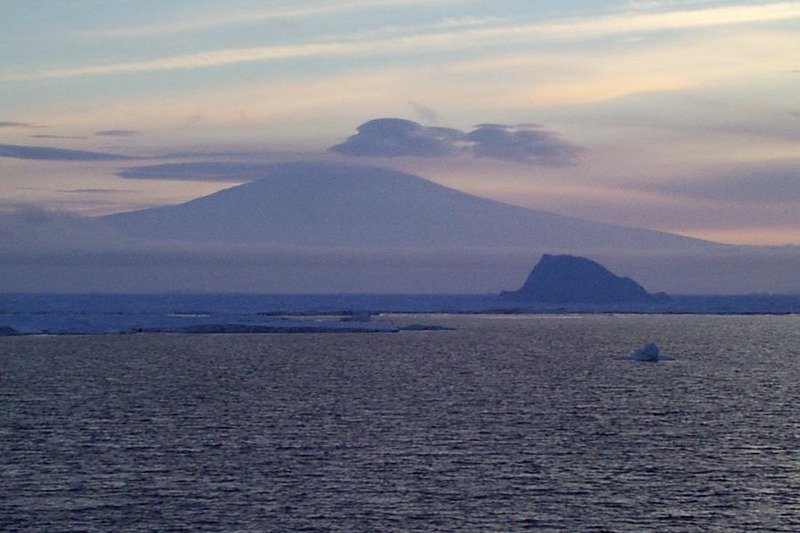 Mount Siple is an enormous shield volcano which forms the bulk of Siple Island on the coast of Antarctica, rising directly from the water's edge to a height of over 10000 ft (3000 m) and comparable in volume to Mount Erebus at roughly 450 cubic miles (1800 cu km). This is a youthful volcano by Antarctic standards, formed within the past 2 million years and with satellite cones less than 100,000 years old along its edge. 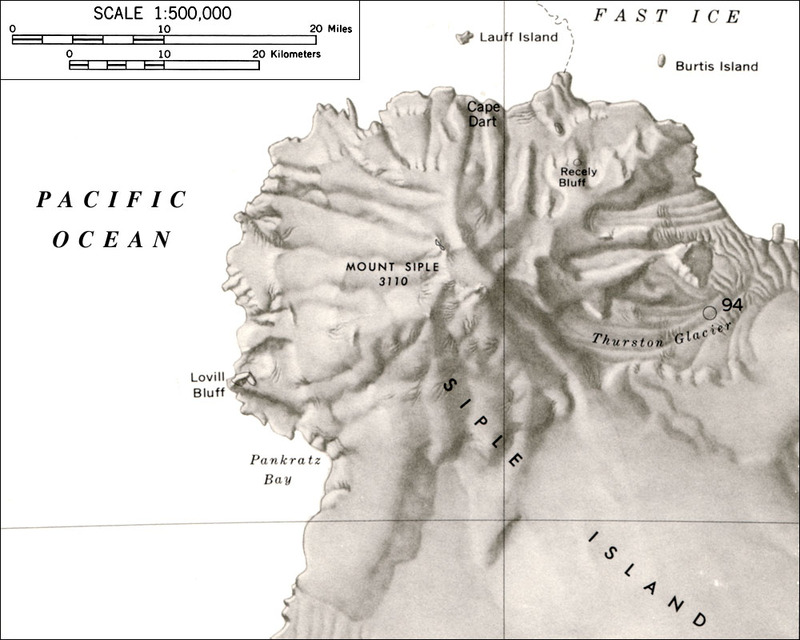 Unlike the other inland volcanoes of Marie Byrd Land, Mount Siple's bulk is not concealed by the West Antarctic Ice Sheet, which only has a thickness of about 600 feet (200 m) at its terminus here along the coast. Surprisingly, Siple has received even less visits and less study than the other remote volcanoes of this region (none of which have been visited much). 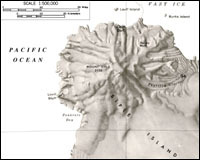 In fact, it is the only one of these volcanoes which does not even have a published topographic map, the only available map being a rough sketch map (see below). 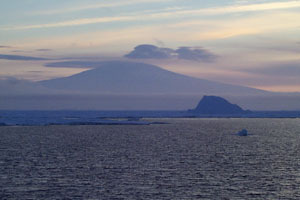 Antarctic cruises along the coast do occasionally pass within sight of Mount Siple, assuming the weather is clear enough to actually see it.